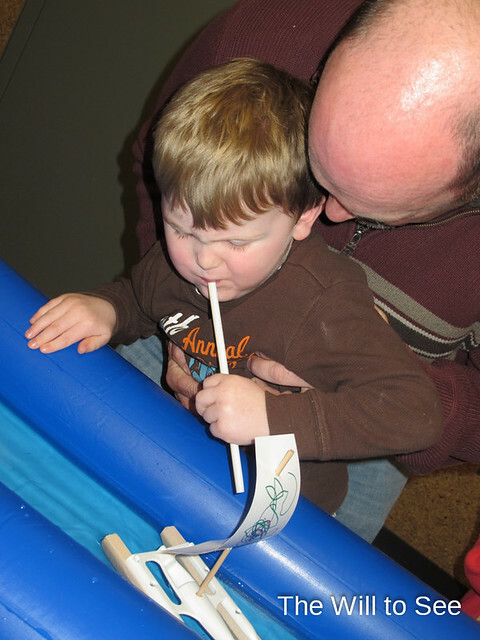 On Tuesday at the Blue & Gold Banquet we had the Raingutter Regatta. After all the scouts went through, the siblings got to try their hand at racing their boats. Will got a boost from Jim, but the wind power was all his. Look at that concentration. Thanks Laura for capturing this photo.